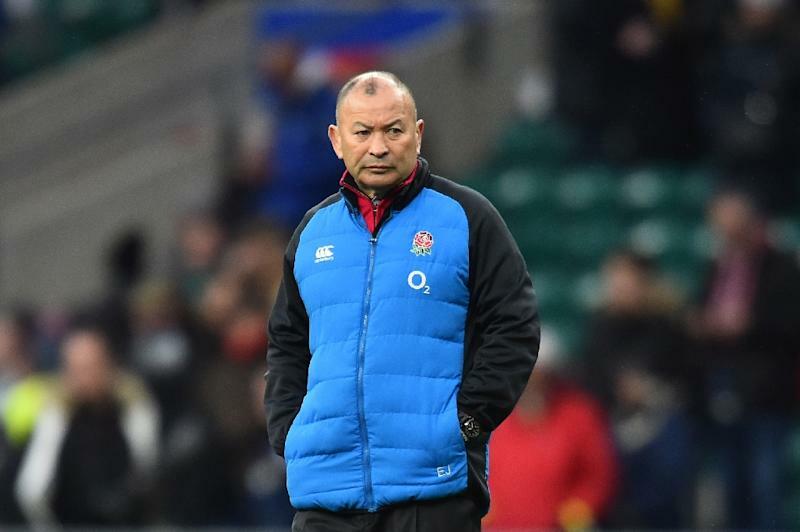 Twickenham (United Kingdom) (AFP) - Eddie Jones will bring in a specialist coach to help his side play better under pressure after a stunning Six Nations implosion against Scotland raised questions about the team's ability to mount a challenge for this year's World Cup in Japan. Jones loves cricket and his England side sometimes give the appearance of being 'flat-track bullies' who struggle when a decent opponent has the temerity to play well against them for a spell in a match. This was evident in their second-half slump from a winning position during a defeat by eventual Grand Slam champions Wales in Cardiff last month and even more apparent in Saturday's astounding Calcutta Cup clash with Scotland. England surged into a 31-0 lead by 30 minutes on their Twickenham home ground before a thrilling match ended in a 38-38 draw, with the Scots only denied a famous victory by replacement fly-half George Ford's converted stoppage-time try. It was an extraordinary finish to a Six Nations that had started so promisingly for England with a win away to defending champions Ireland, with their last competitive match before the World Cup gets underway in September leaving Jones' men with some awkward questions. Jones, however, believes the problems are "fixable" in the intervening months even though he traces their origin back to the last World Cup four years ago when hosts England, then coached by Stuart Lancaster, suffered an embarrassing first-round exit after pool defeats by Wales and Australia. Those reverses led the Rugby Football Union to sack Lancaster and appoint experienced Australian coach Jones, who was in charge of the Wallaby side that lost the 2003 World Cup to an England team under the control of Clive Woodward -- famous for his mantra of TCUP or Thinking Correctly Under Pressure. "It's about how the team thinks under pressure," said Jones, who took off captain Owen Farrell after the fly-half made errors that led directly to two Scotland tries. "It's like we have some hand grenades in the back of a jeep and sometimes they go off when there's a lot of pressure. We have a few of them and we've got to get rid of them." Jones, who at the last edition of the global showpiece coached Japan to a huge upset win over South Africa, added of England: "The team has probably had it since the 2015 World Cup and we've been working on a process to fix it. We will get it right, but it takes time. "Sometimes it takes longer than you'd like to fix it, but it is fixable. England did not know what it was to lose at the start of Jones' reign but he said: "When we won 18 games in a row, we still had those problems. And they have come to the fore in a couple of games recently which is beneficial for us because it's made it quite clear what we have to fix to be the best team in the world." It appeared the team lacked the collective maturity to cope with the impact of the flamboyant attacking game they played in Saturday's first half. They may now be in danger of over-correcting and settling back into a more traditional Red Rose forward orientated game when some of the silky skills on show at Twickenham could yet prove useful come the World Cup. But Ben Youngs, now England's most-capped scrum-half, offered an illuminating summary of their failings in Saturday's match when he said they had been "too loose, too flippant with the ball".